With the improved SiriusXM® Dealer App, refreshing SiriusXM radios on pre-owned vehicles is as easy as scanning a VIN. For best results, launch the app, turn on location services and scan the VIN. 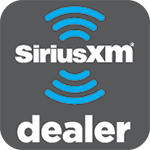 Once refreshed, you can showcase SiriusXM as a selling feature and ensure that customers leave the lot listening to all of our premium programming. Make sure to Refresh the radio and demonstrate SiriusXM at prior to delivery. Your customer’s 3-Month All Access Trial Subscription will automatically start after a sold record is received. Park the vehicle outside with an unobstructed view of the sky and make sure the radio is turned on. For best results, open the app and turn on location services. Send a refresh signal to a radio’s ID by scanning the VIN with the Dealer App or manually entering the radio ID. Find your radio by turning to Channel 0 or visiting siriusxm.com/activationhelp. Customer trial does not begin until after the vehicle is sold.